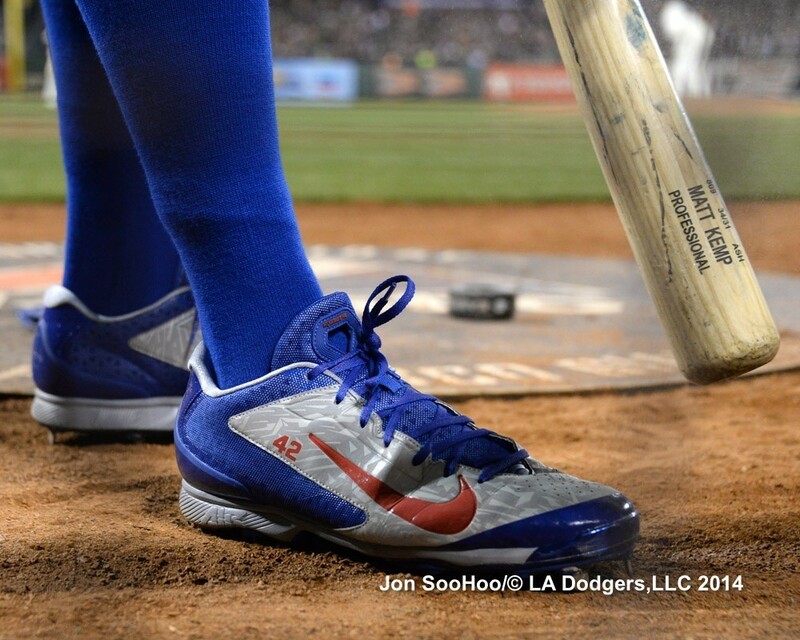 Kemp wears a number of different Huaraches. He’s worn the Air Huarache 2K4 Low and the Air Huarache Pro Low for most of the games this year, but he has also worn the Air Huarache Pro Mids. The Pro Low’s look to be metals and the 2K4’s molded. Both cleats are available online, but obviously not in his custom colors. Categories: Gear, Outfield, Cleats, San Diego Padres, Matt Kemp.